Invest in swimming pool cleaning equipment that will help minimize your time spent managing your pool while keeping the water clear and clean. 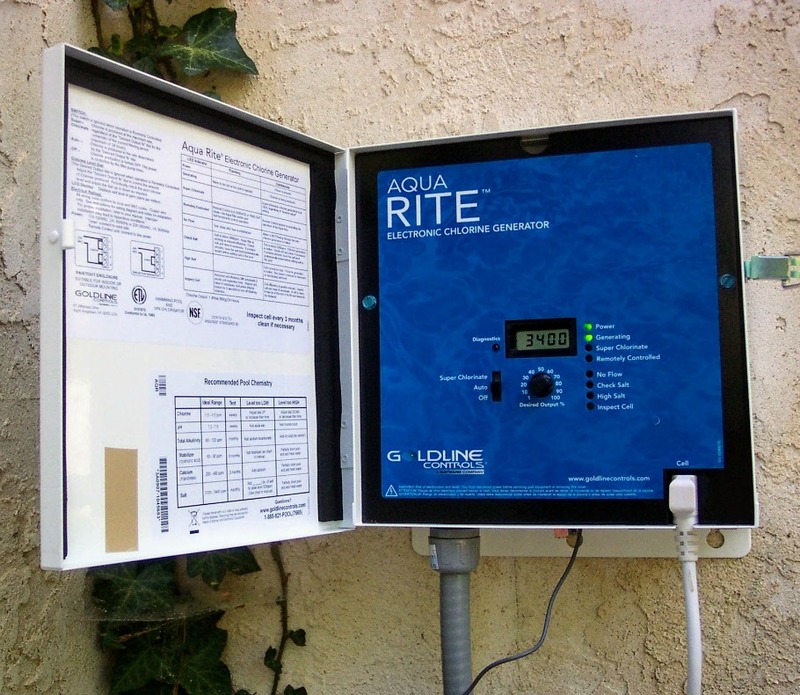 When it comes time to replace your swimming pool pump, filters, cleaners and other equipment, it pays to do some research. 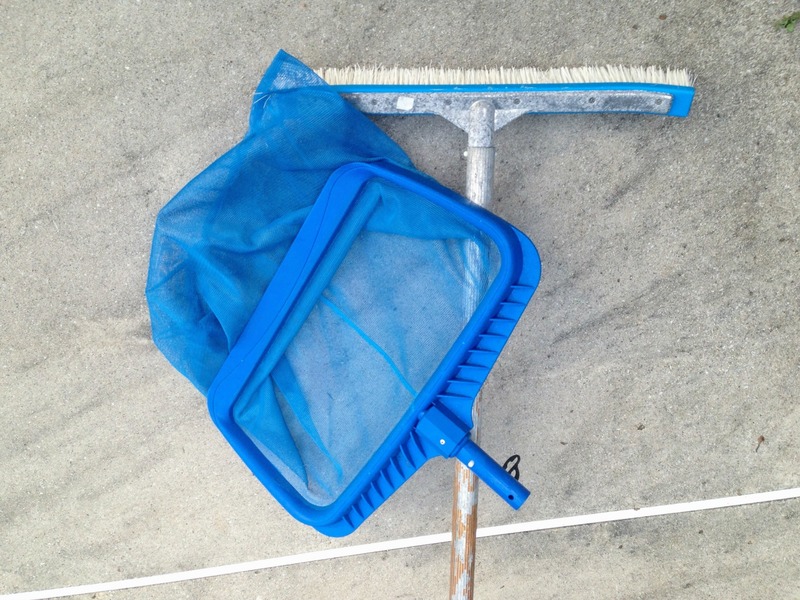 Basic tools you need to keep your pool clean is a long handled vinyl liner brush, a pool skimmer and a deep bag pool rake. Even with automatic pool cleaners, it is still necessary to brush the bottom of your pool occasionally and depending on how many trees you have, leaves and debris need to be skimmed out especially after a storm. Another good reason to have these pieces of swimming pool cleaning equipment is that automatic pool cleaners are hard on vinyl liners. Ours takes off tiny flecks of color so we have little white specks on our deep blue vinyl pattern. The deep bag is called a rake and is especially good in the fall if you have lots of leaves. The other net is called a skimmer to help you skim off debris that is floating on top of the water. 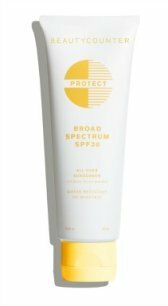 You can find these at your local pool store or on-line at Amazon. 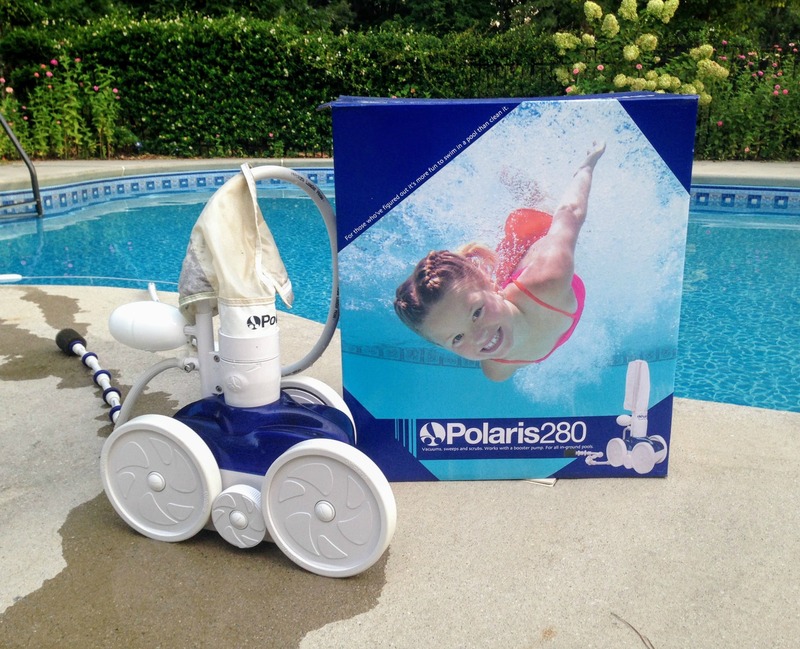 An automatic pool cleaner like this one from Polaris travels across the bottom and sides of your inground swimming pool picking up sand, debris and leaves. We bought this older version because it has less moving parts so there is less opportunity for things to go wrong. Newer versions clean the pool in a quicker amount of time, but not sure what the benefit of that is. So we spent less on the Polaris 280 and are very happy with how well it cleans the pool. 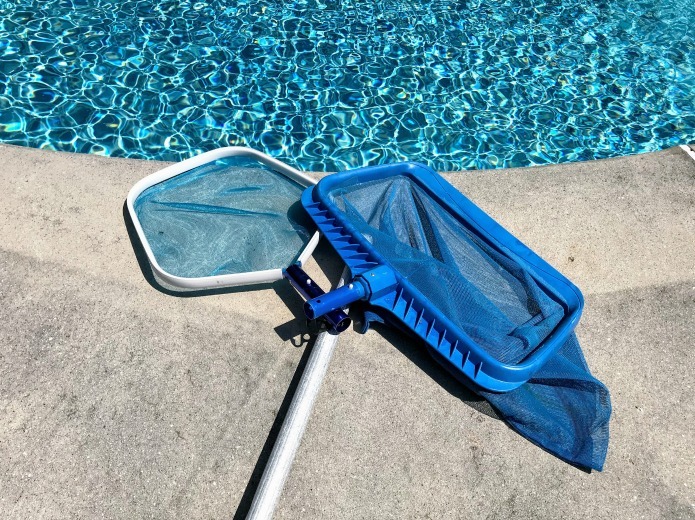 While the skimmers are good at removing surface debris, automatic pool cleaners pick up debris before they reach the pool basket and filter, which means less work and a longer life for your pool filter. Want your pool to look clear? The Polaris 280 has done a great job of keeping our water circulated and looking crystal clear. 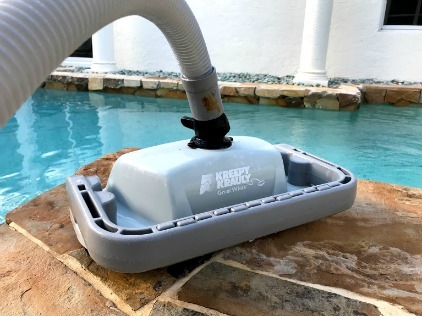 The Creepy Krauly pool cleaner by Pentair is an inground automatic swimming pool cleaner. It is good for gunite, fiberglass and vinyl swimming pools. With a 15" path and a unique turning mechanism it picks up and cleans your entire pool, simplifying your regular pool maintenance. 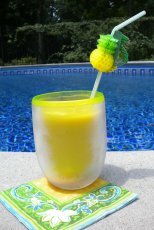 No need to scrub your pool anymore as this pool cleaner will do it for you, loosening the dirt and then vacuuming away any small or large debris. Check and empty your swimming pool pump baskets regularly and more frequently if you have lots of trees or wind. If your baskets remain full the pump works harder and it prevents the pool water from being filtered adequately. These baskets periodically need to be replaced as the plastic eventually wears down. 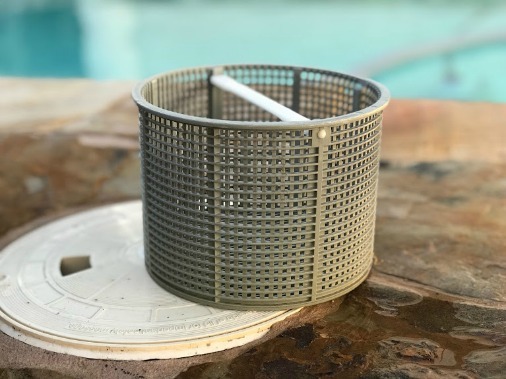 To make sure it is the correct skimmer basket for your pool you can check by looking for a model number underneath of your current skimmer basket. If you have a basket without a handle, I suggest you get this handy accessory that attaches to just about any skimmer basket. 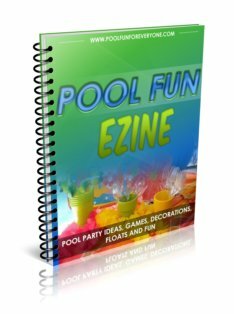 Trying to decide on a salt water pool vs chlorine? We were in the same situation. Originally our pool started out as a standard chlorine pool. After several years of pool ownership and enjoying the less irritating salt water pools of friends we decided to make the switch.